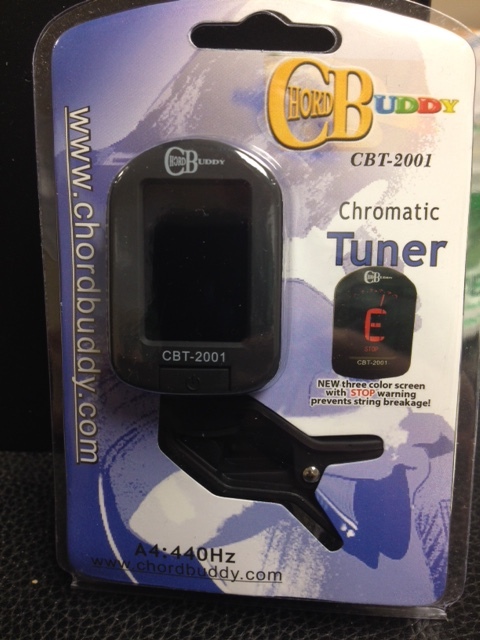 ​The ChordBuddy CBT-2100 clip on tuner comes in black. 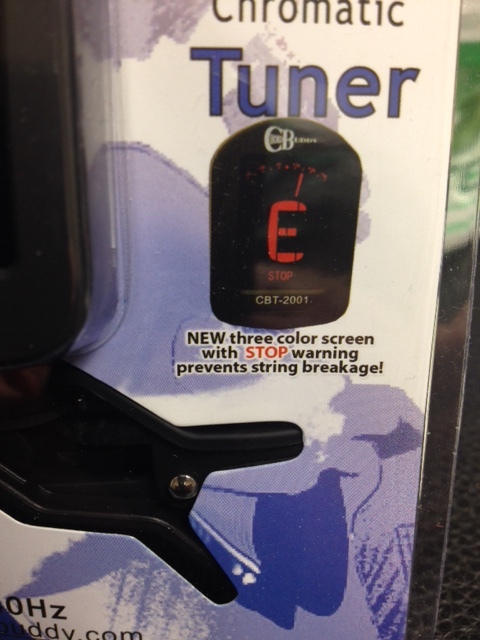 It is designed to help prevent string breakage. Our screen has three colors that will light up at various times to tell the player if they are sharp, flat or just right. 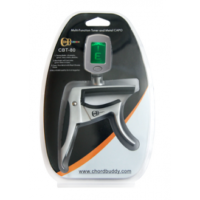 The player will see orange if the note is flat, green if it is just right, and red will flash when you are sharp to indicate, “STOP, before you POP the string!” says ChordBuddy inventor, Travis Perry. It rotates 360 degrees for easy viewing.